Legend has it that France’s love of horse meat dates back to 1807. Napoleon and his famished troops, after the Battle of Eylau, ate the bodies of fallen horses to survive. Since then, France has been a horse-eating country like no other. 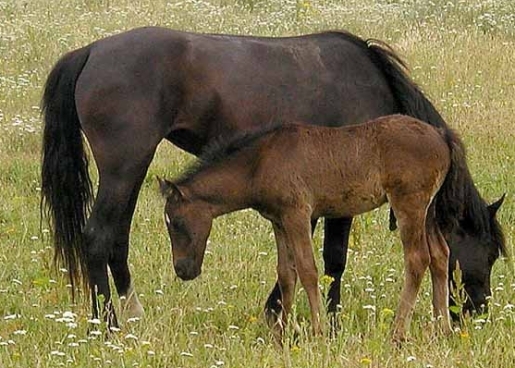 Last year, over 15,000 horses were slaughtered in France for horse meat, but thanks to the tireless efforts of animal rights crusaders like the Foundation Brigitte Bardot, horse meat is dying out in France. Those 15,000 horses make up less than 1 percent of all meat eaten in France (despite the size of the average horse), and thanks to the economic crisis, that number is dwindling. Horse is cheaper than beef, but nothing is as cheap as chicken. Thanks to some effective marketing, horse meat might be off French tables permanently in a few years. Do I like the idea of people eating horses and dogs and other friendly animals for food? Of course not. But nobody’s making me eat it, and if you want to munch on Trigger with a side of Mr. Ed, more power to you. So long as it’s a humane slaughter, that’s your business.